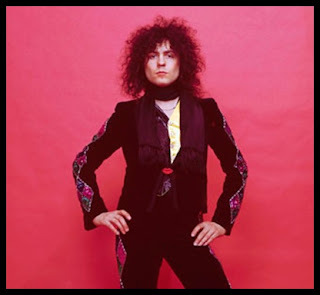 T.Rex, were originally named after the prehistoric monster Tyrannosauruses Rex in the 1960s, and fronted by Marc Bolan,, who had there first album as T.Rex in 1970 with "T.Rex", and he really did change 70s music with his GLAM style.. The first single hit of the seventies got as high as number two in 1970 called "Ride A White Swan" and came from Marc's own writing ability, with a little help from his wife. Marc was born in 1947 as Mark Feld, and died in a car crash at the top of his game in 1977, and along with David Bowie, he is the true king of the Glam Rock phase, in fact Marc actually played on Bowie's 1970 hit "Prettiest Star". Into 1971 and T.Rex were on a roll , as there very next single release "Hot Love" charted at No1 for six weeks , and only got to No 72 in the US. Marc had said that this record was inspired by "Hey Jude". The breakthrough hit in America was "Bang A Gong( Get It On)", called "Get It On" in the rest of the world because there was already a hit called "Get It On " in the US by a group called Chase. Marc's version came from the album "Electric Warrior" which also included the hit "Jeepster" , which Marc originally did not want released, but it became the very next hit. This time it was Chuck Berry who inspired this song with his hit "Little Queenie"
Now 70s music moved into 1972 and the US is losing interest, but in the UK the next single "Telegram Sam", from the album "The Slider", which was recorded in Paris to avoid some UK tax problems, and this single was the first on Marc's new label that he owned. Already with two Number One singles from 1971, "Telegram Sam", gave him his first in 1972 along with his next two singles, that also reached No1. "Metal Guru", from the "Slider" and a favourite of mine "Children Of The Revolution" about teen anx no less,. The last hit of 1972 was "Solid Gold Easy Action" from the album "Tanx" which was a much deeper and darker album from most of the others. 1973 the hits did not chart as high, that is apart from the first single that year , which still got to number one in Ireland and number three in the UK, called "20TH Century Boy again from "Tanx", the follow up hits "The Groover" and "Truck On (Tyke)" were OK hits, but the bubble seemed to have burst. 1974 saw T.Rex chart with "Teenage Dream" from the album "Light Of Love", which was a minor single hit in itself, along with "Zip Gun Boogie", but for me the hit from 1975 was "New York City". 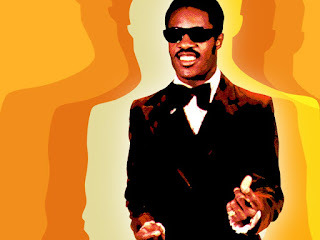 Other smaller hits like "Dreamy Lady","London Boys","I Love To Boogie" and "Laser Love" followed in 1975 and 1976, with nothing really charting after that. Band member Mickey Finn joined the group in 1970 and died in 2003 from liver problems caused by alcohol. Band member Steve Currie also joined in 1970 and died in 1981 in Portugal in a car crash. Band member Dino Dines died in 2004. Interesting to note that Herbie Flowers was a member of T.Rex for a short while in the 1970s too. Here is Marc Bolan in a TV interview with Russell Harty. Please come back soon, we aim to post new material every few days. Thank you. ABBA music through the 1970s. 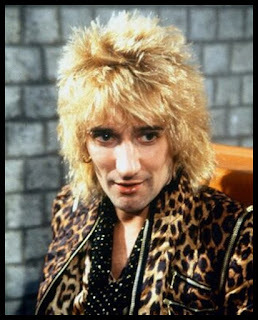 Seventies music artist Rod Stewart entered the 1970s from The Jeff Beck group, the group also featured greats like Ronnie Wood and Jeff Beck himself , with the vocals provided by Rod Stewart, who was in-fact born as Roderick, but it was back in the 1960s that Stewart was first busking in London, singing Sam Cooke numbers, which was a long way from his mega success that would come in the 1970s, in-fact he was also no stranger to TV in the 1960s when he was in the documentary "An Easter with Rod" for Rediffusion TV London.